The Senior High School program has a powerhouse of faculty members who are highly qualified to implement the curriculum that is customized to the college degree programs offered in the University and other institutions. Outcome-based education is an important feature to ascertain the readiness of all graduates for life. The curriculum is vertically and horizontally aligned. These make SPUQC what could be the best senior high school in Quezon City. corporate operations, and other related concepts. The HUMMS strand is designed to investigate the human condition, using analytical, critical or speculative methods. This strand is for students who aspire to take communication, liberal arts, education or philosophy in college. The STEM strand offers the needed competencies that will enable students’ ability to evaluate simple to complex societal problems and be responsive and active in the formulation of its solution. STEM prepares students who intend to pursue tertiary programs that are geared towards the physical sciences. The TECHNICAL-VOCATIONAL TRACK equips students with job-ready skills in the future. This track also enforces skills that can address requisites of NCs (National Certifications) which would be essential in preparing students to join the workforce. There are two strands offered, namely, Food and Beverage and Tour Guiding. The ARTS and DESIGNS track hones the skills needed in the design, performing, and creative industry. 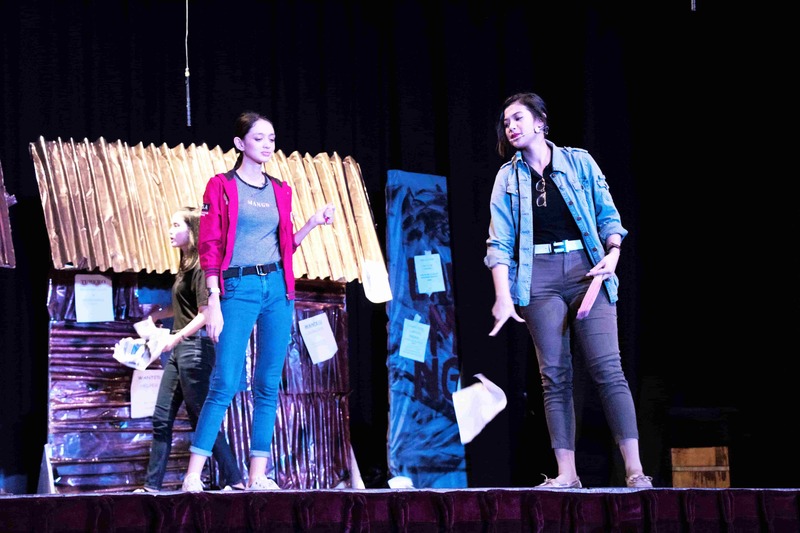 Subjects offered include Arts and Design Appreciation and Production, Performing Arts, Integrating the Elements and Principles of Organization in the Arts, Physical and Personal Development in the Arts, Apprenticeship and Exploration in the Performing Arts – Theater, Leadership and Management in Different Arts and Fields, Production in the Performing Arts. The SPORTS Track aims to give students understanding of the basic principles and techniques in relation to physical education and recreation. This track explores on the various factors that affect social, psychological, and cognitive development in sports leadership and management. Beginning school year 2016-2017 nationwide, all high school students must go through Grades 11 and 12 to complete their secondary education. When is the start of the school year for 2018? We regret to inform you all applications are done on a personal appearance. What are the admission requirements and procedure if I will transfer to SPUQC for Grade 11? What are the tuition fees for Senior High School? Please proceed to the Finance Office to get the exact fees and breakdown. For the college department, tuition may vary from track to track depending on the laboratory subjects. Books, notebooks, uniform, STEP-UP interest clubs fees are exclusive of the miscellaneous and are prescribed and bought in school. Fees are paid on cash, semester’s, and monthly basis. What are the tracks offered? For the complete list of the tracks and the respective strands that apply for some tracks, please refer to the information above this page. SPUQC only offers five tracks in Senior High School. Are there scholarships offered to Senior High School students? For Senior High School, the applicant may avail of the full scholarship provided that he/she comes from the public school system and belongs to the top ten of the graduating batch of not less than 200 students. The scholarship is available to the first ten (10) public school completers on a first-come; first-served basis. (1) Applicants for scholarship must obtain at least the score required by the Board for the Qualifying Examination System for Scoring Students and other qualifying scholarship examinations for specific courses. (2) Applicants who wish to pursue TVET must have at least ten (10) years of basic education or its equivalent, and must pass the initial TESDA screening/profiling or assessment procedure, trade test, or skills competency evaluation. Does the school offer summer classes for students coming from the province or for those who need to? What’s unique about the Senior High School of SPUQC? SPUQC’s K-12 program ensures the students acquire an adequate preparation to master concepts and skills for them to become lifelong learners. 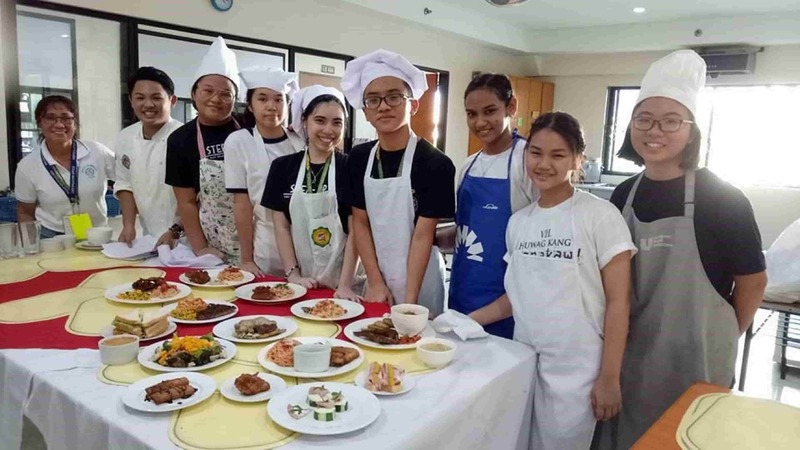 The curriculum has the students at the center of development and the various disciplines are holistic and allow them to develop their interests in the arts, sports, music, theater, digital literacy, and culinary skills provided in the different clubs. Moreover, the “three R’s” of reading, writing, and arithmetic that they learned early in life are complemented with “the four C’s” of critical thinking, communication, creativity, and cultural fluency as they move up the ladder.